We’ll walk you through how to clock in using all of these methods. Note: The System Administrator can disable employees from starting and ending their shift via mobile phone and web browser. We’ve got a Deputy smartphone app that you can use to start and end your shift. To start your shift, simply open up the Deputy app. Simply navigate yourself to the ‘Me’ tab and tap ‘Start Shift’. 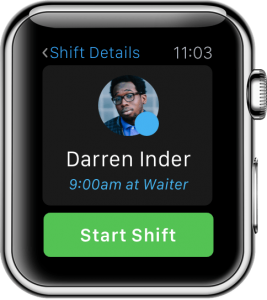 You can also Start and End your shift via an Apple Watch. You will need to pair your watch with your iPhone, then find the Deputy app in the Watch application. Then navigate your way to the ‘Me’ tab and hit ‘Start Shift’ or ‘End Shift’. You can also end your shift, and start and end your break from the same screen. 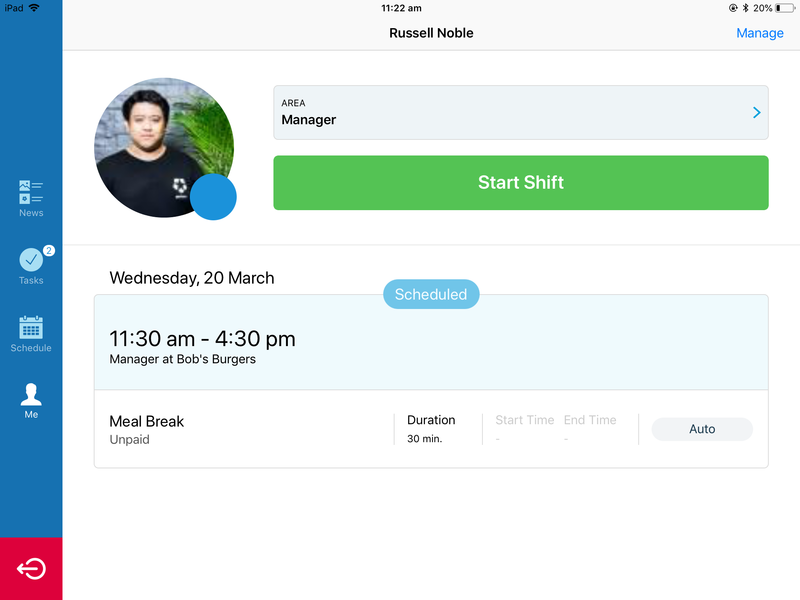 To start your shift, simply navigate to the ‘Me’ tab, and tap ‘Start Shift’ or ‘End Shift’. You can also start and end your break from this screen. The Deputy iPad Kiosk is an iPad app that your System Administrator can set up. To start and end your shift, you will need a Deputy Kiosk PIN, which was sent to you in the Deputy invite email. To start and end your shift on the Deputy iPad Kiosk, locate your name on the left side of the screen. 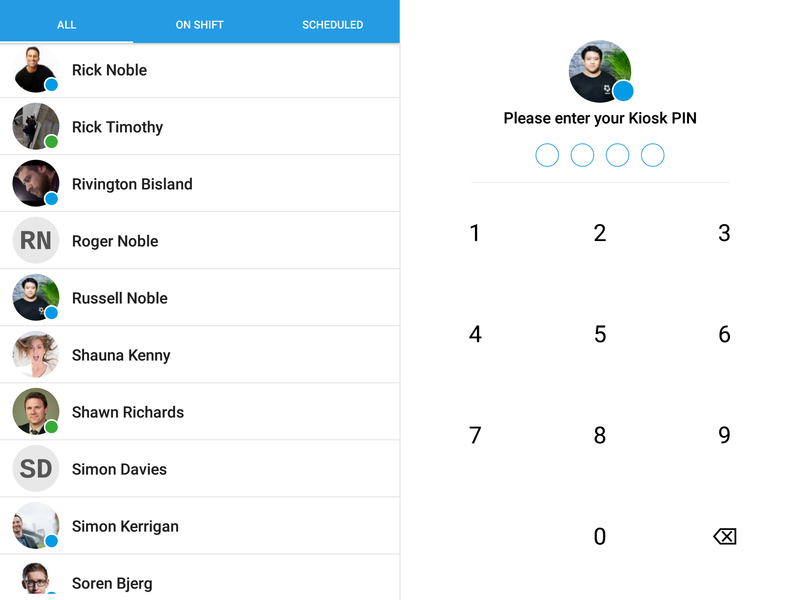 Tap your name and enter your Kiosk PIN. 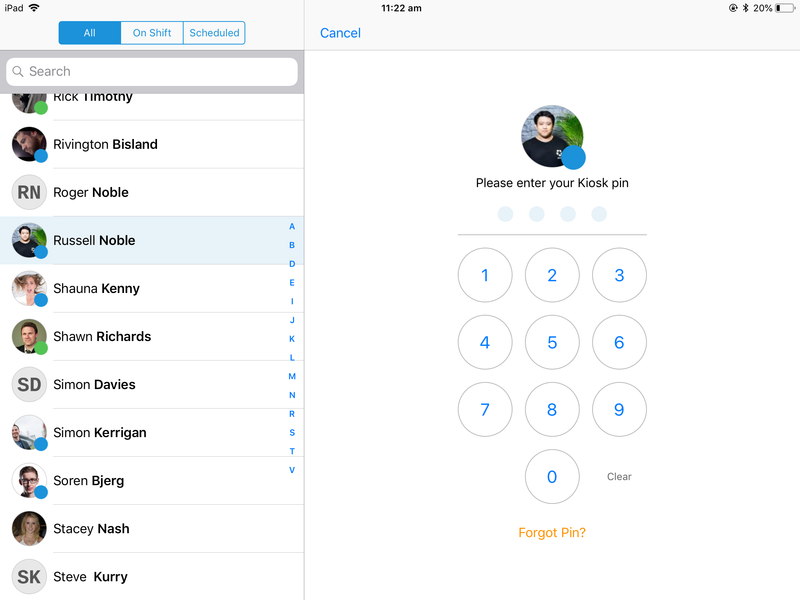 After entering your PIN, simply tap ‘Start Shift’. The Kiosk will then take a photo for timesheet verification purposes. 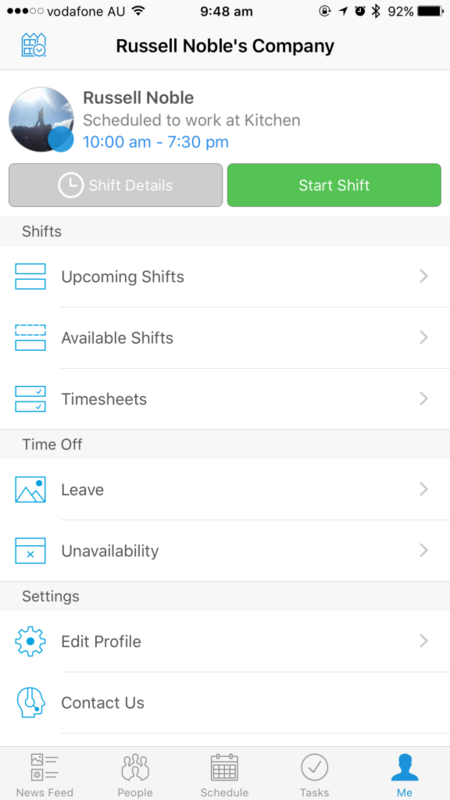 After the screen confirms that the shift has been started or ended, tap the ‘Log Out’ button in the bottom left to ensure no one else can see your tasks or start and end your shift prematurely. 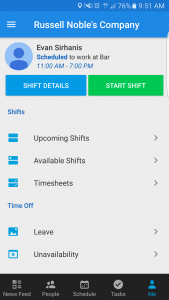 The Android Time Clock tablet app can capture your start/end times. To do this, search for your name and enter your PIN. If you have a shift that day, the shift details will appear. Tap 'Start Shift' to begin. You can also start and end your shift via a web browser. We recommend you use the latest version of Google Chrome or Mozilla Firefox as these browsers provide the best experience for using Deputy. Log into Deputy by visiting once.deputy.com and entering in your email and password. Once you are logged in, navigate to the ‘Me’ tab. From here, simply click ‘Start Shift’ in the top right hand corner of the screen. 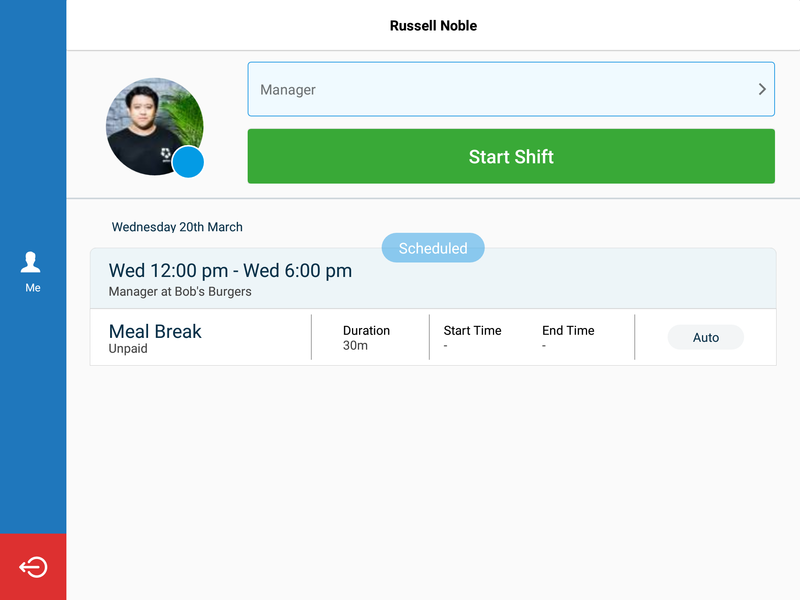 With Break Planning, you may have scheduled breaks included in your shift. To learn how to start and end your break, check out our 'How to Start and End Your Break' help article.